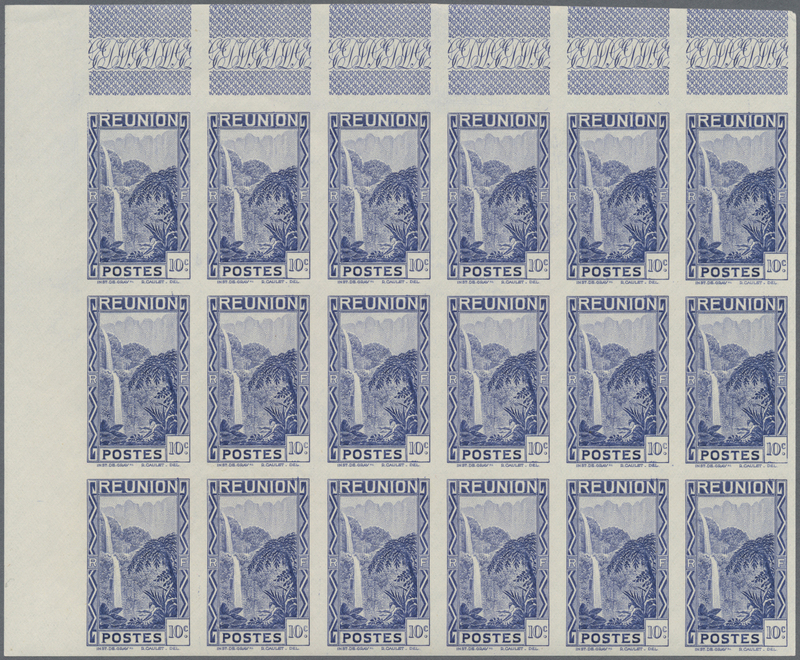 12589 Sc #439 Proof 1951. 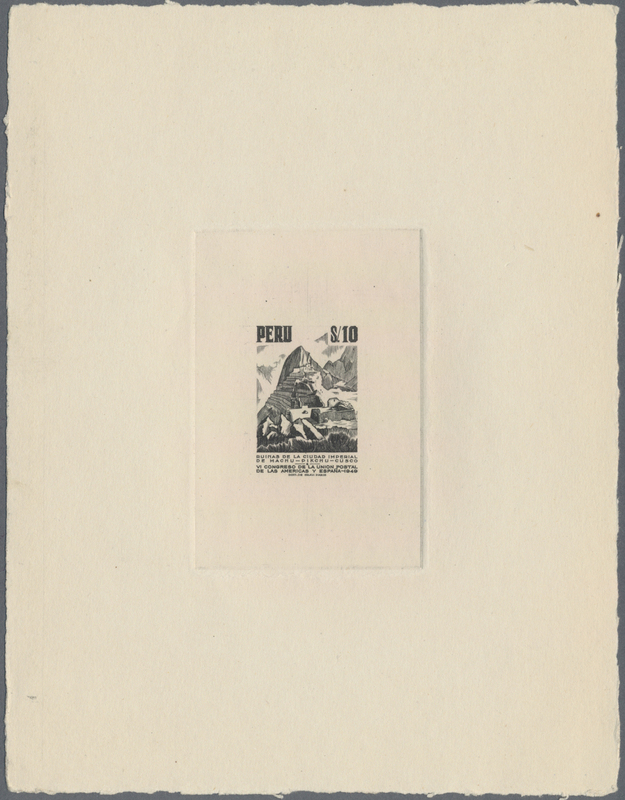 "Inst. 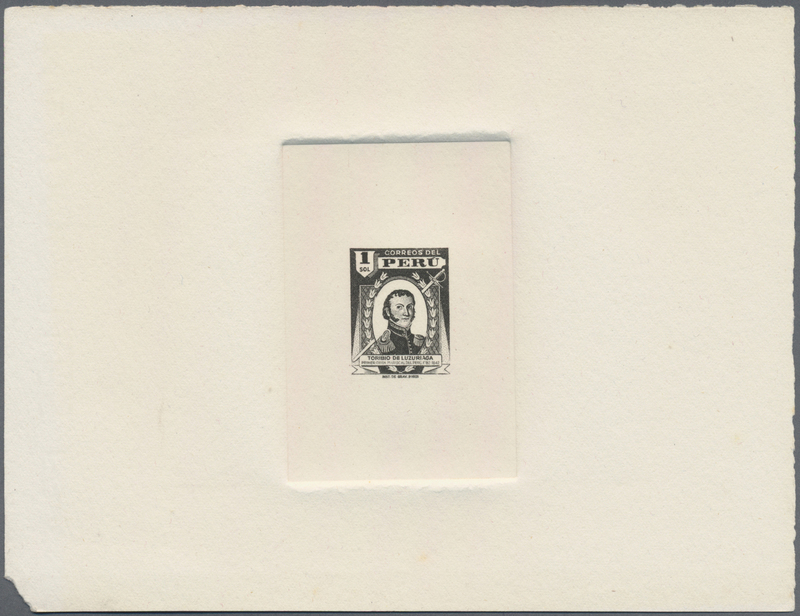 de Grav. 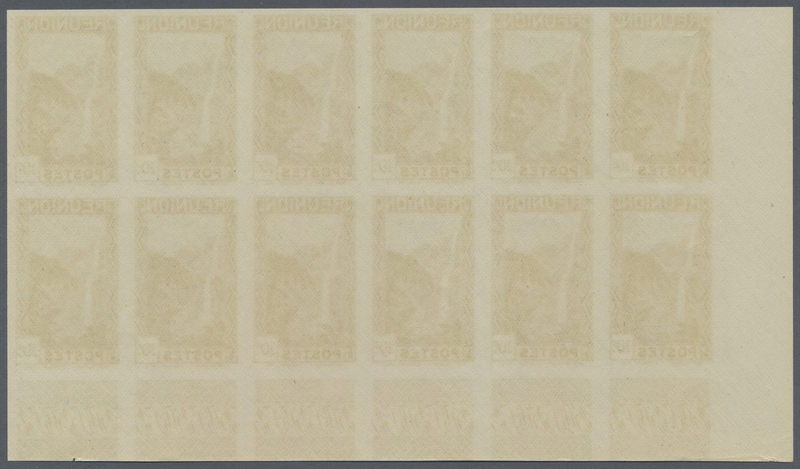 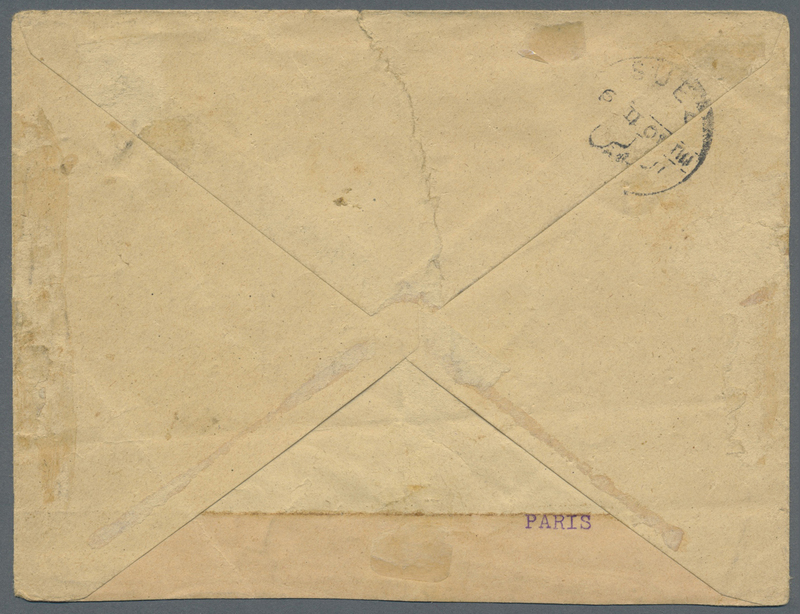 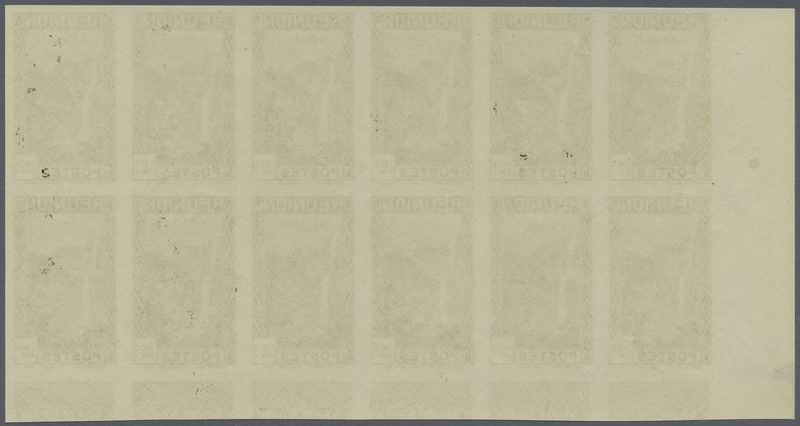 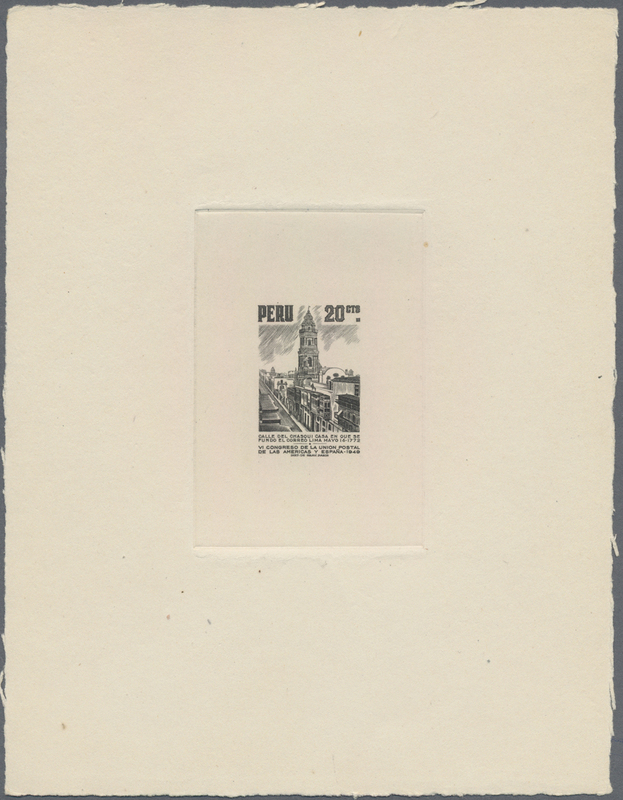 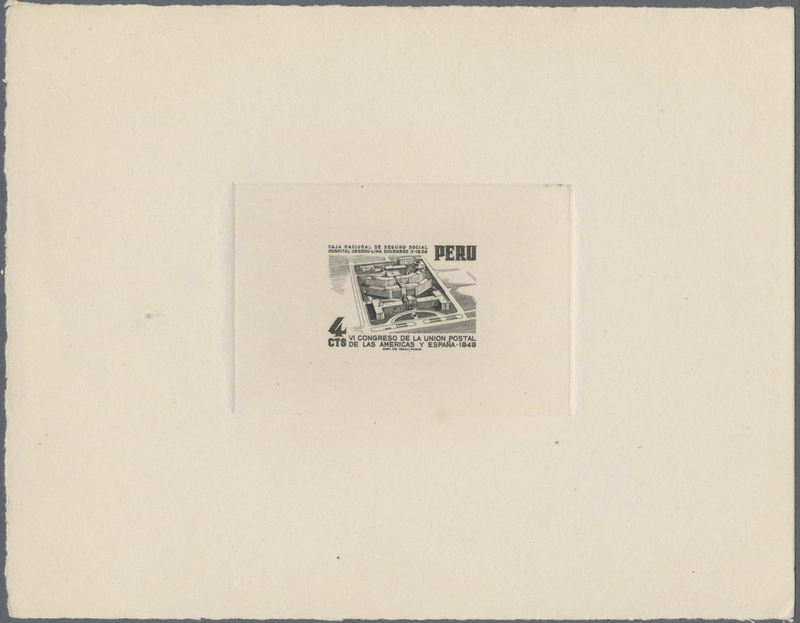 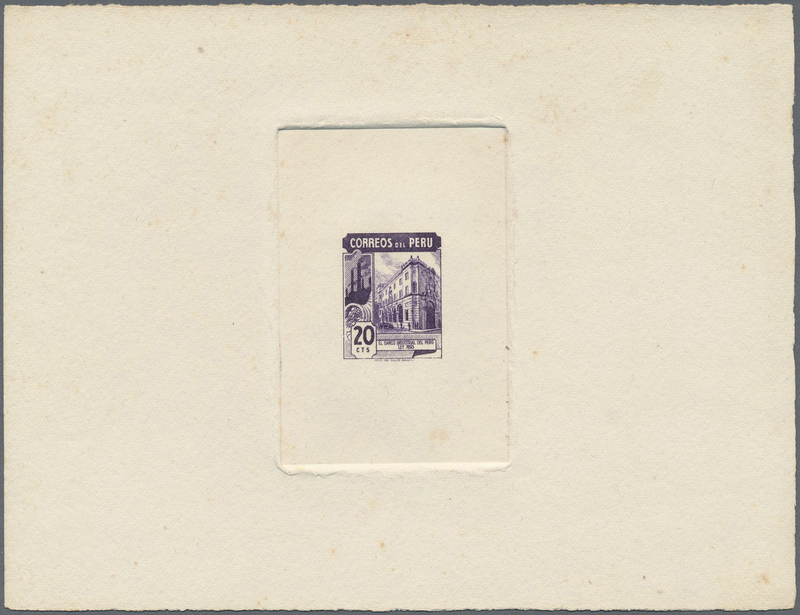 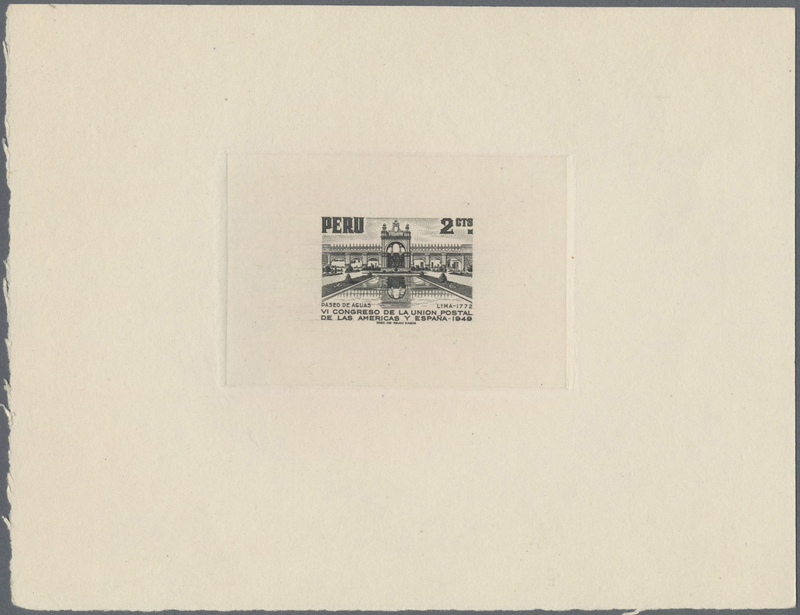 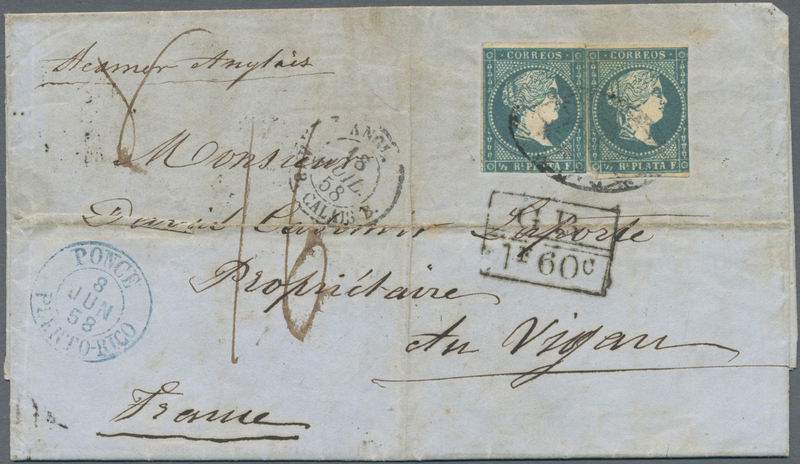 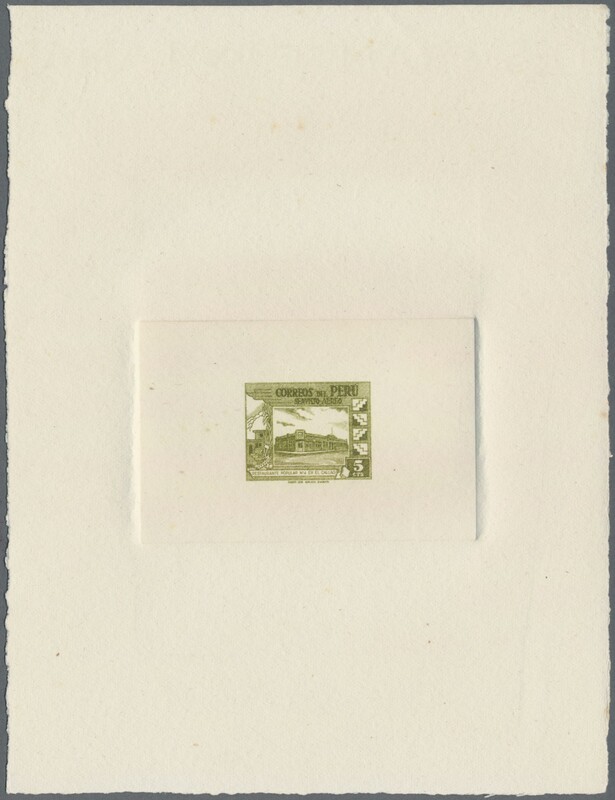 Paris" sunken die proof on industrial bank stamp. 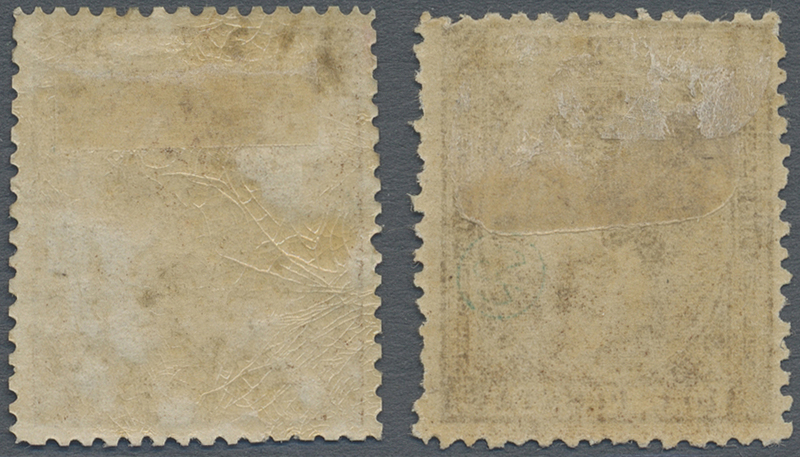 Some small stains. 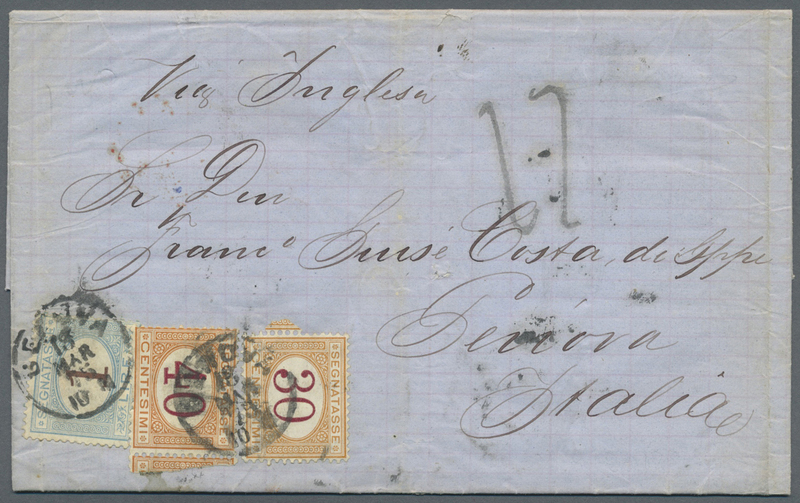 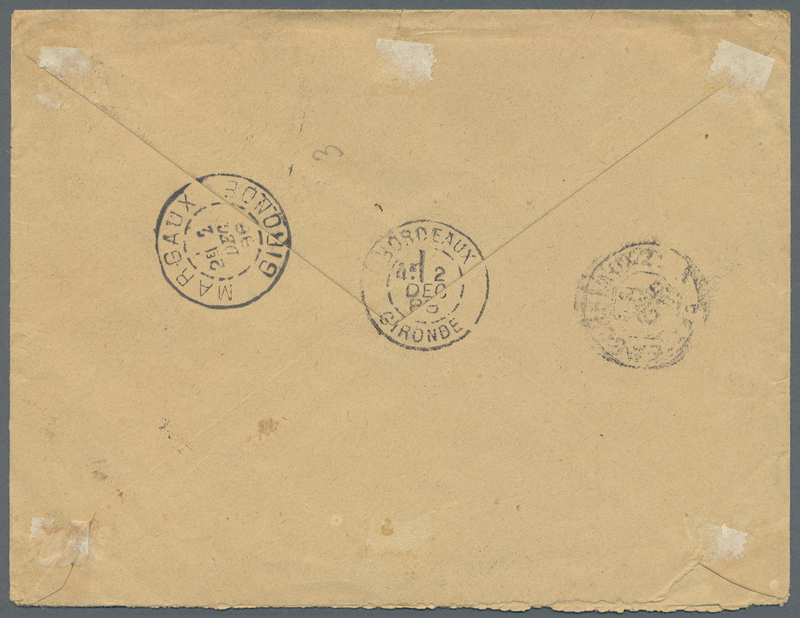 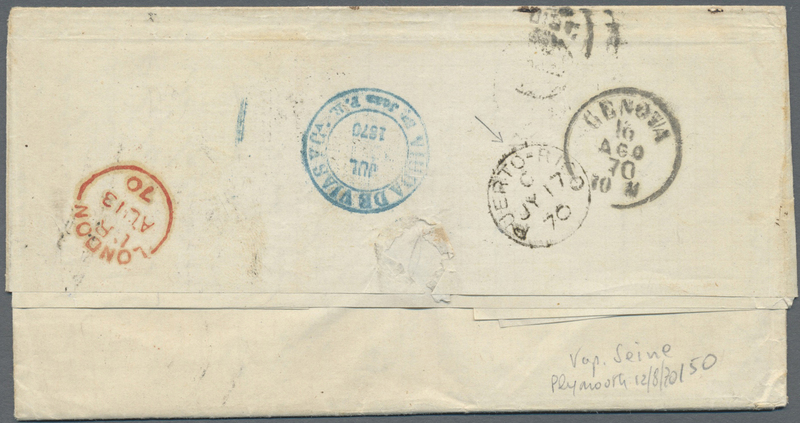 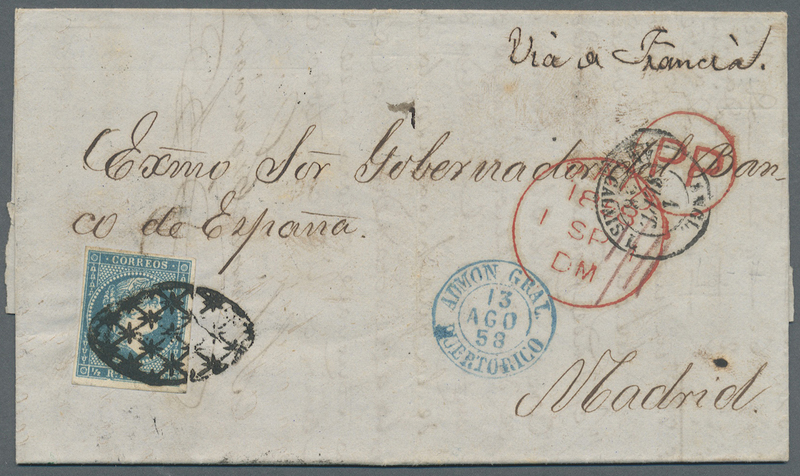 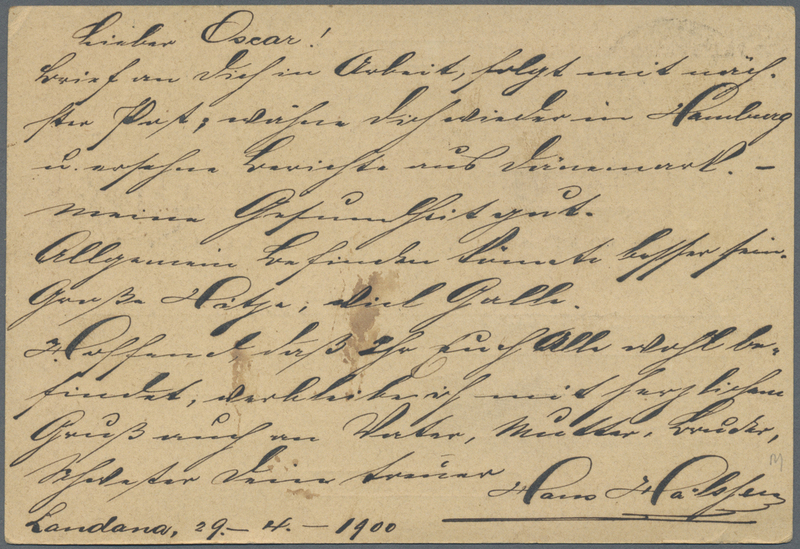 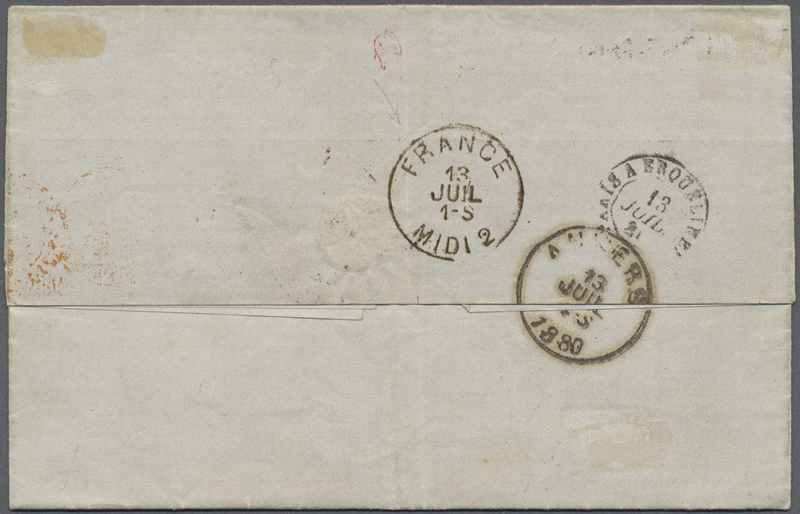 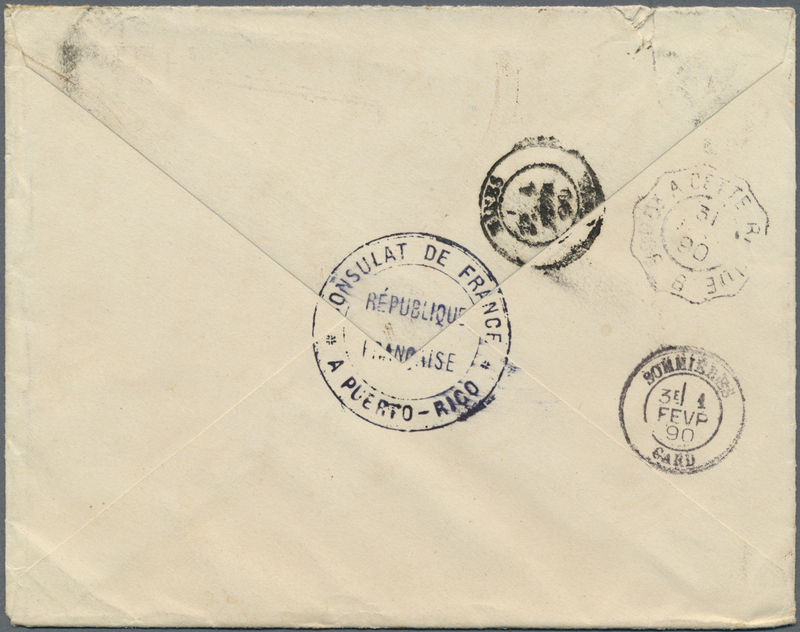 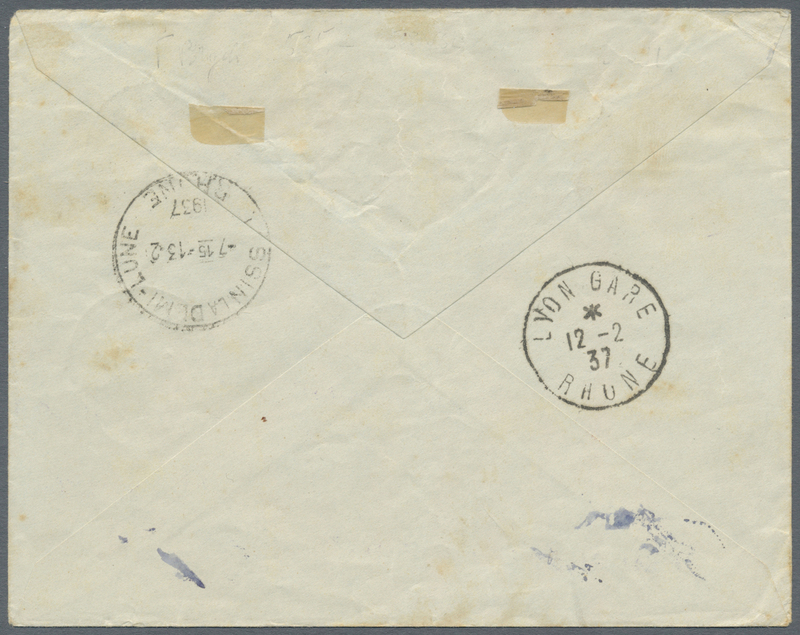 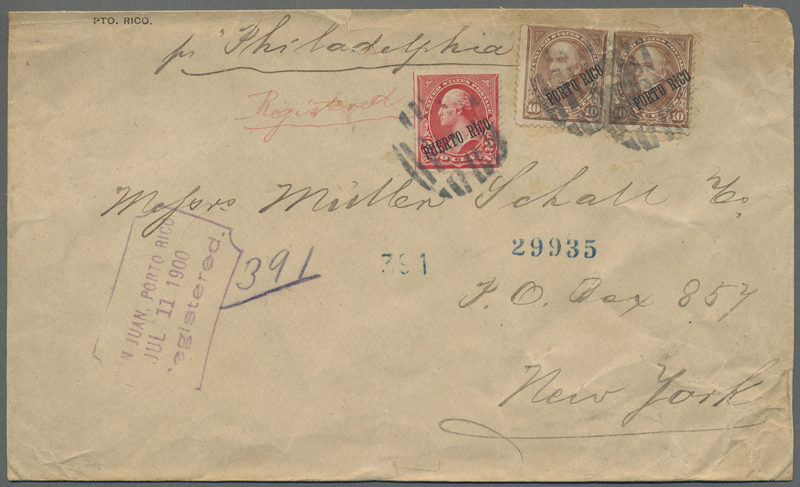 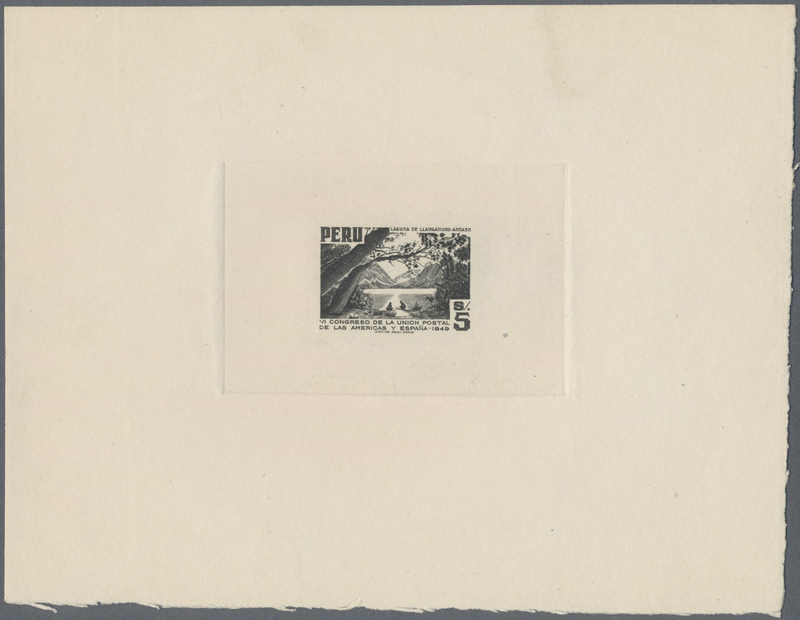 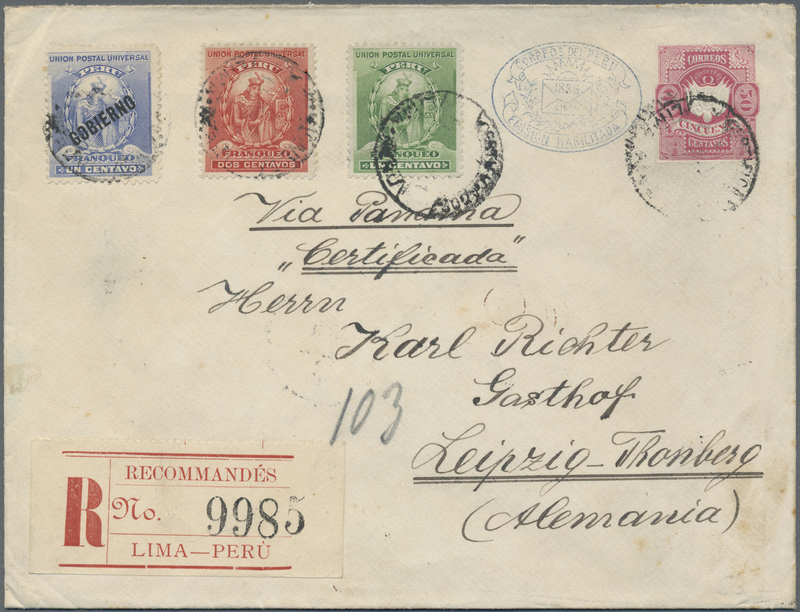 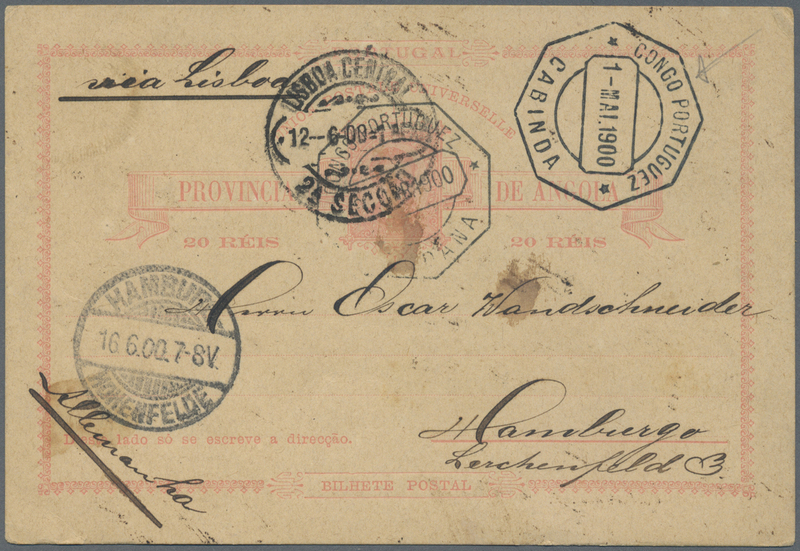 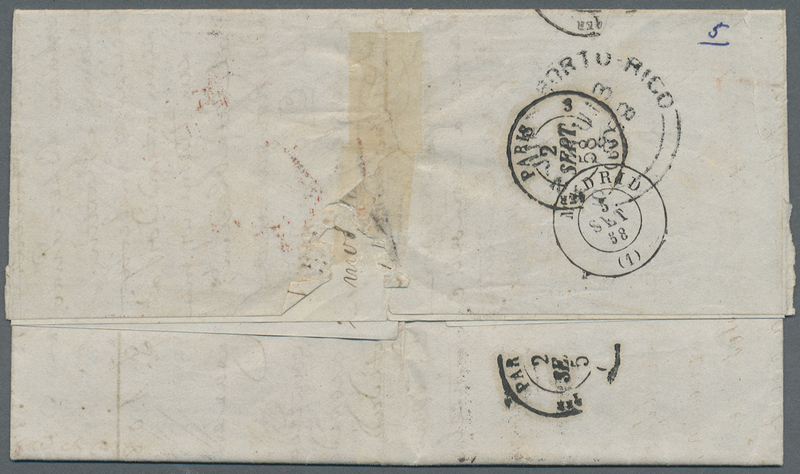 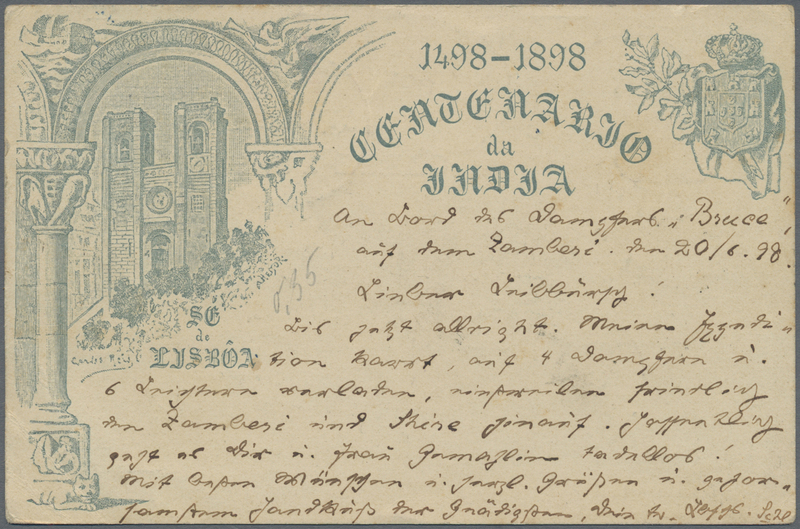 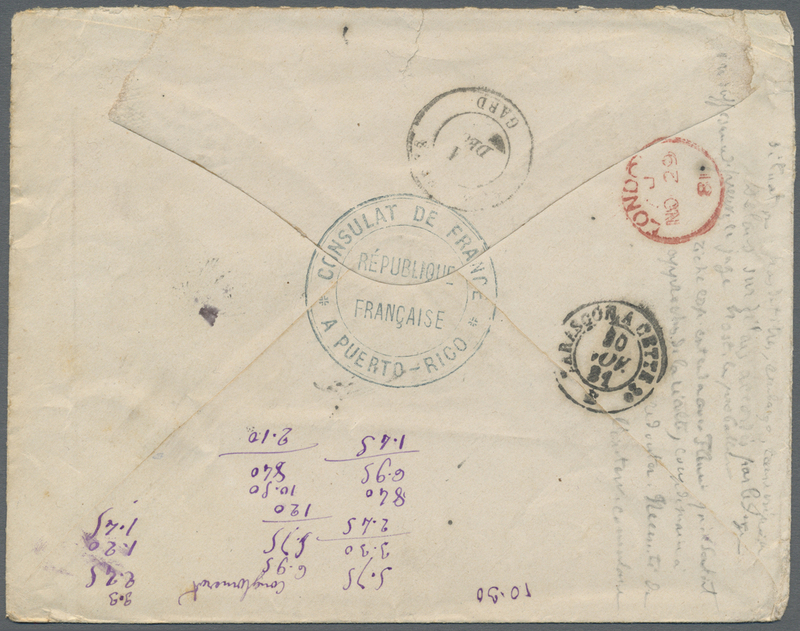 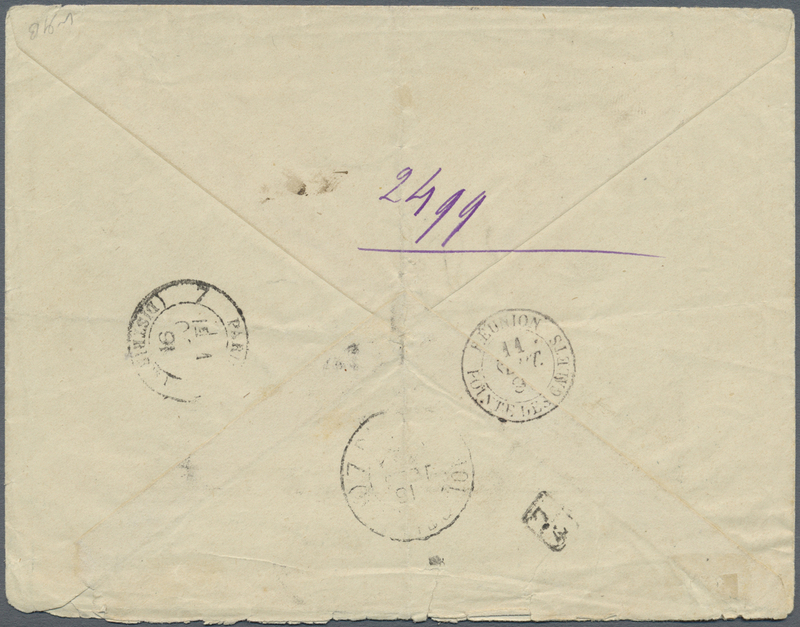 12607 Brief (cover) 172 (2), 174 1900, letter with violet "registered" mark from SAN JUAN franked with 2 C. and two pieces of 10 C. USA stamps with "PUERTO RICO"-overprint sent to New York. 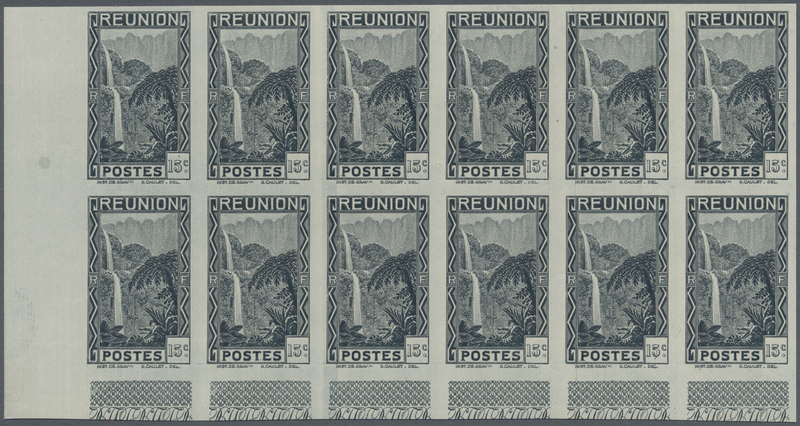 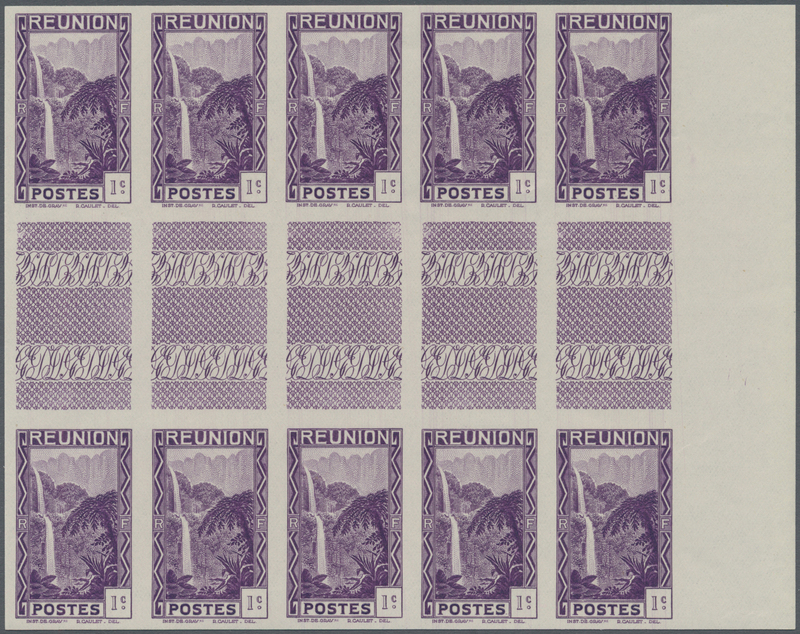 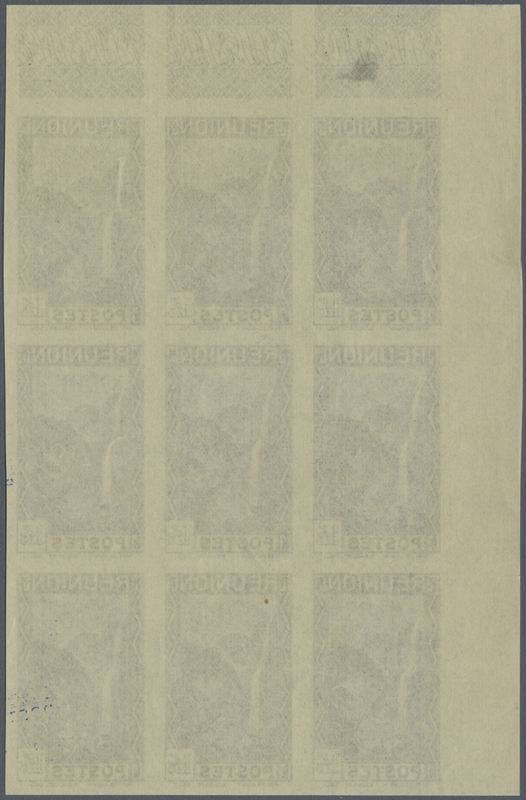 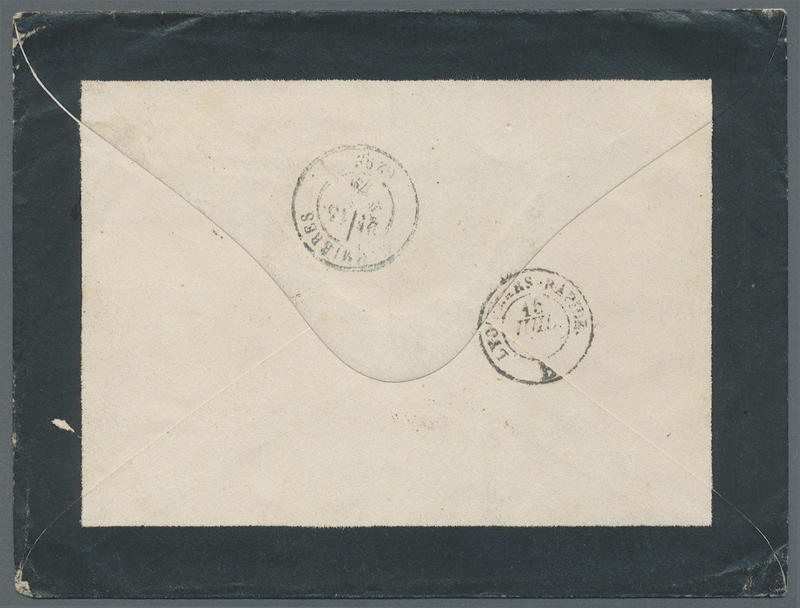 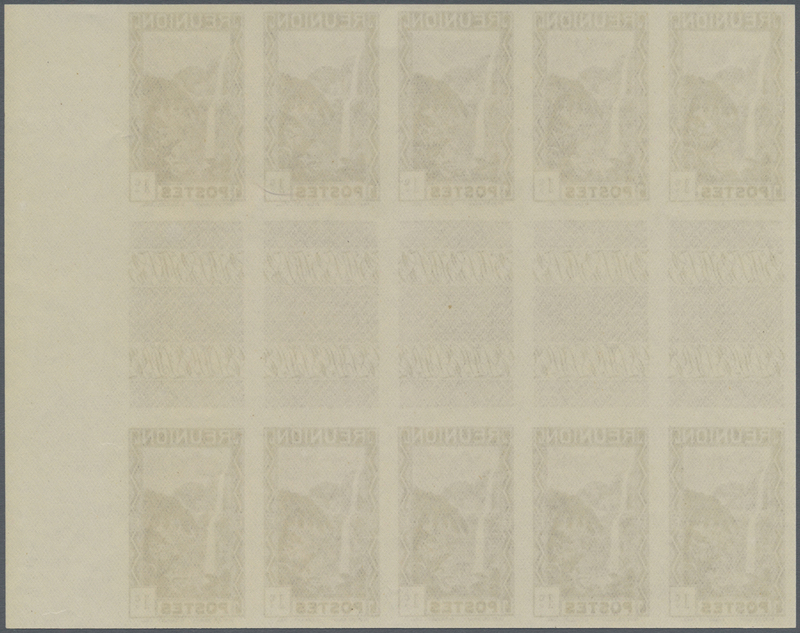 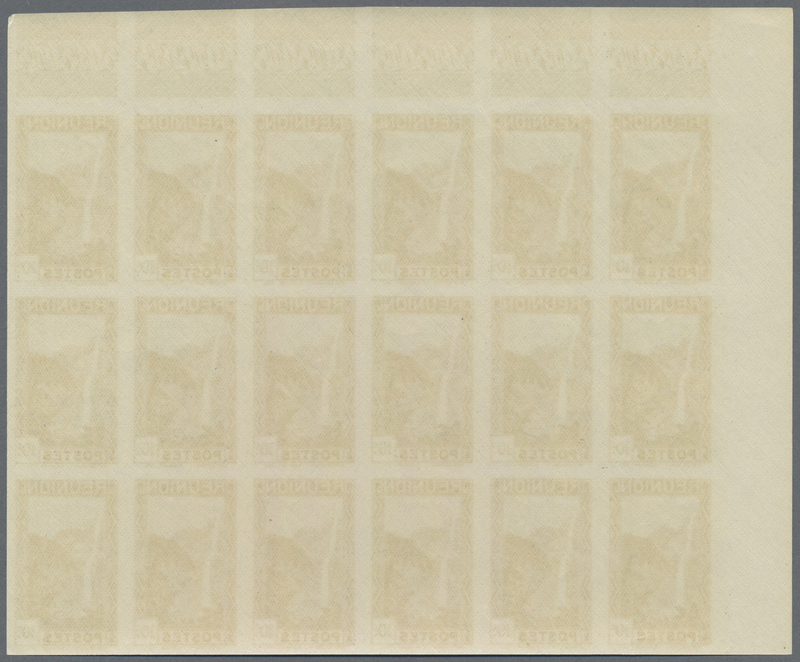 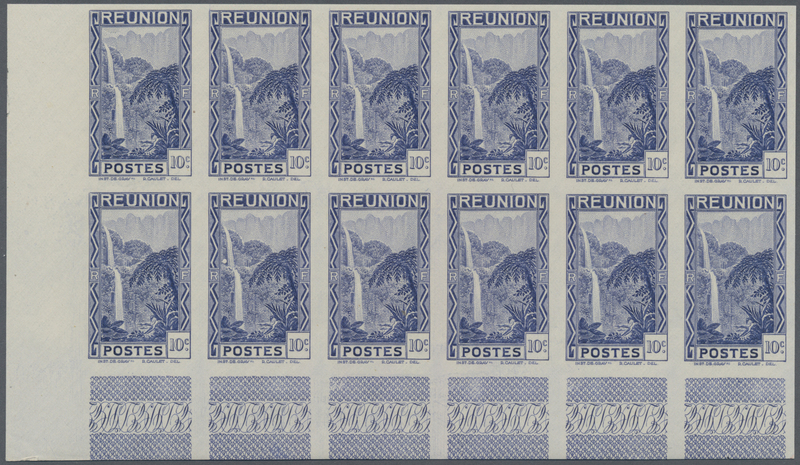 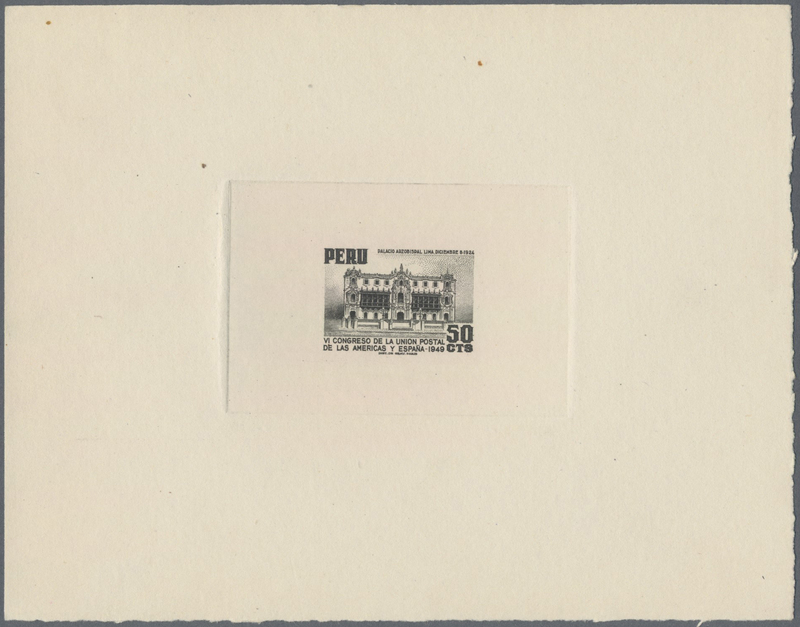 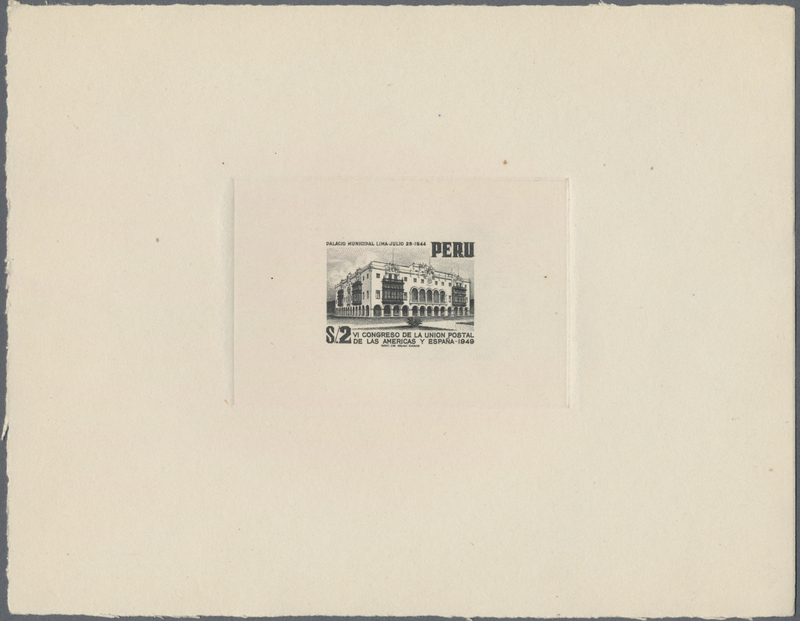 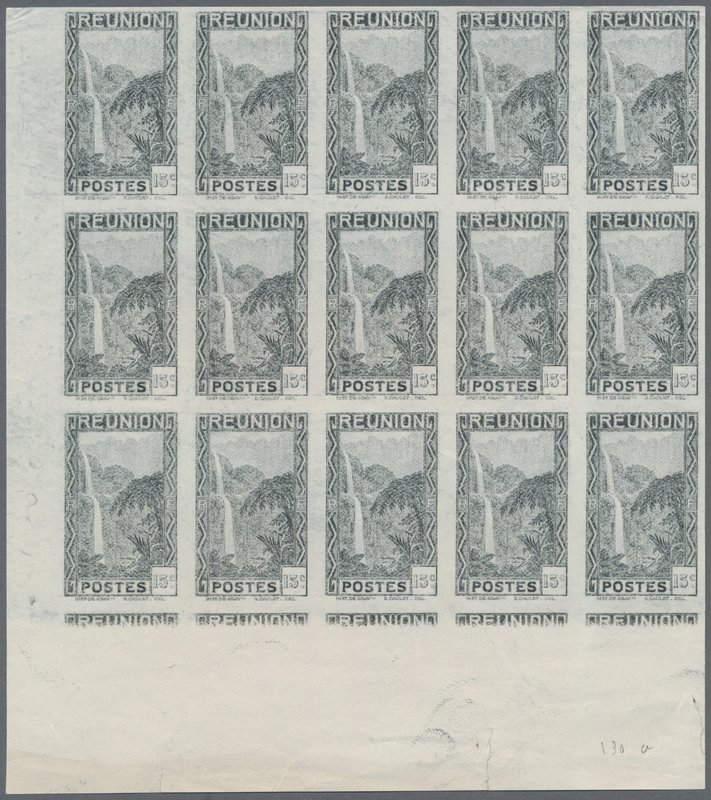 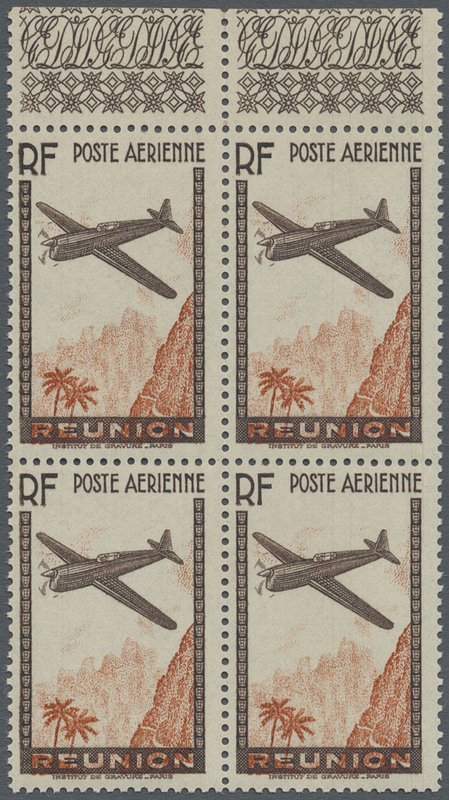 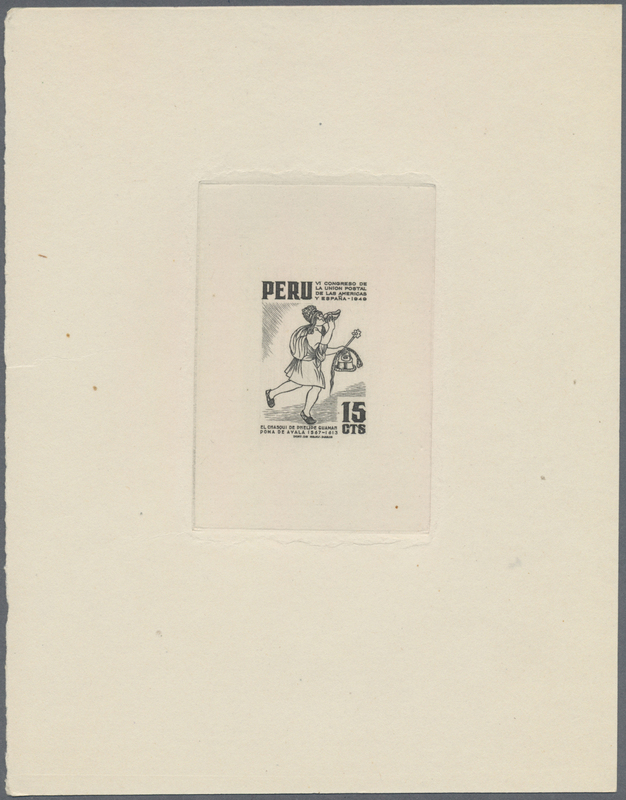 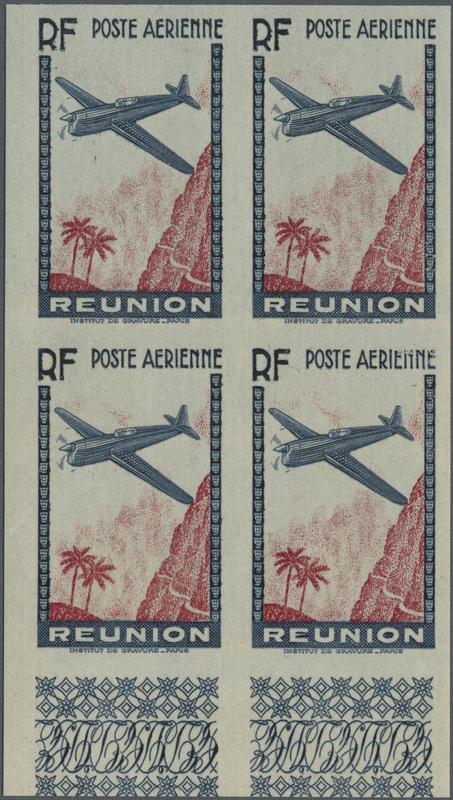 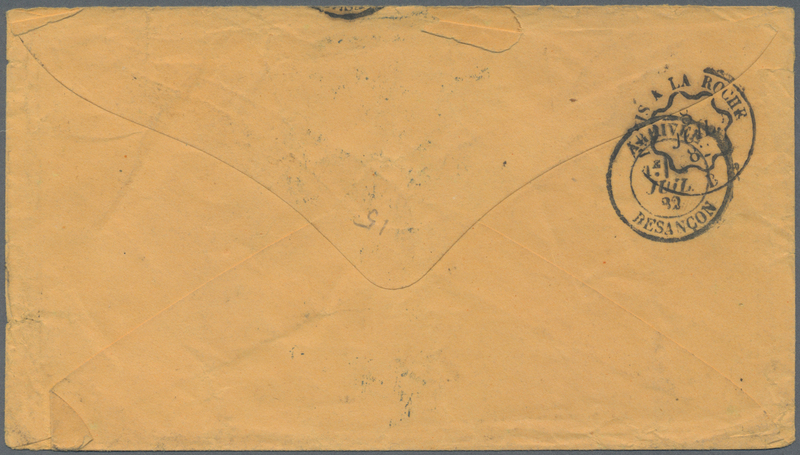 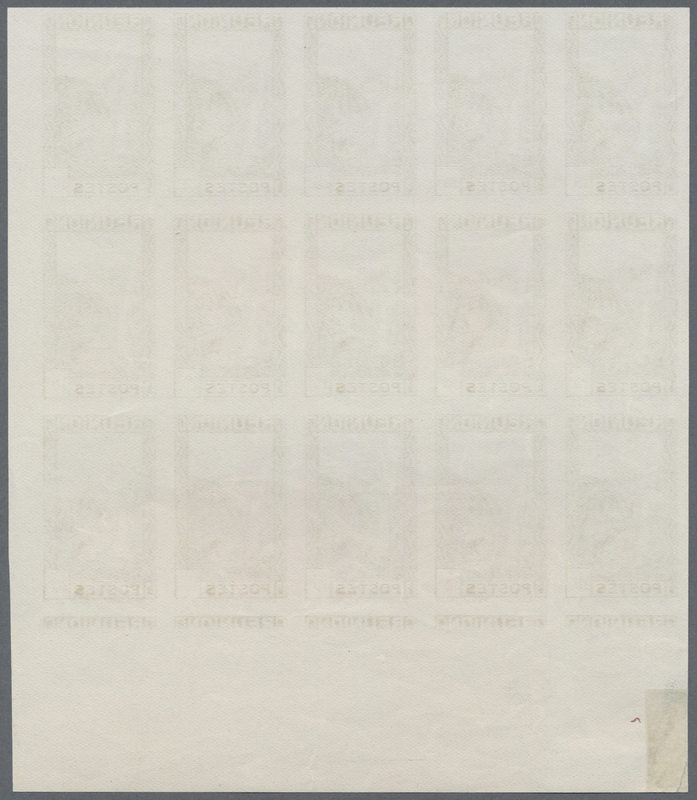 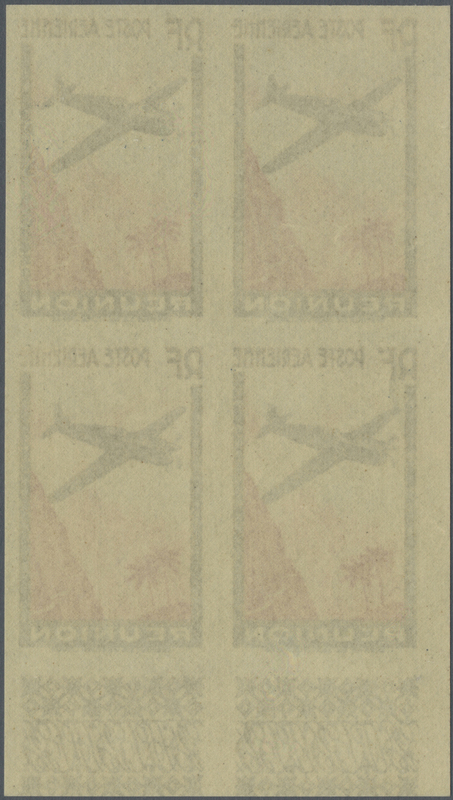 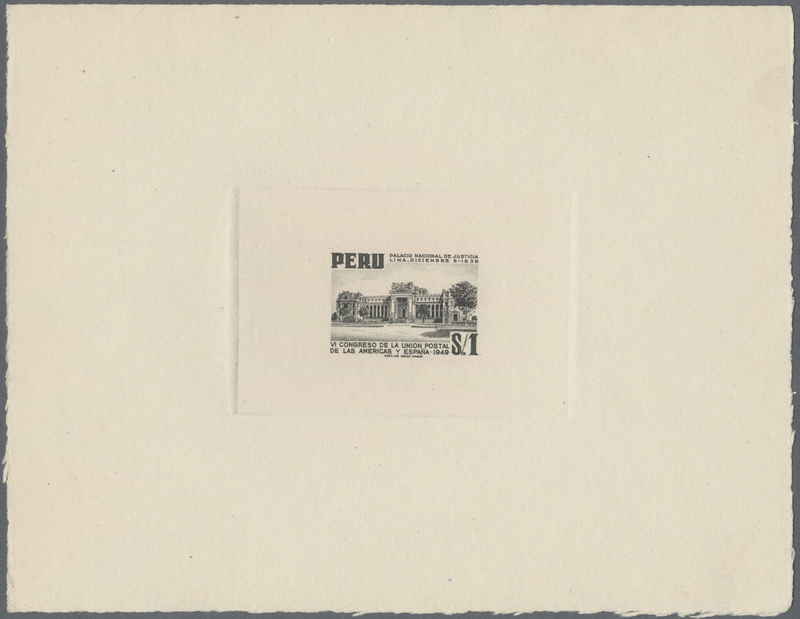 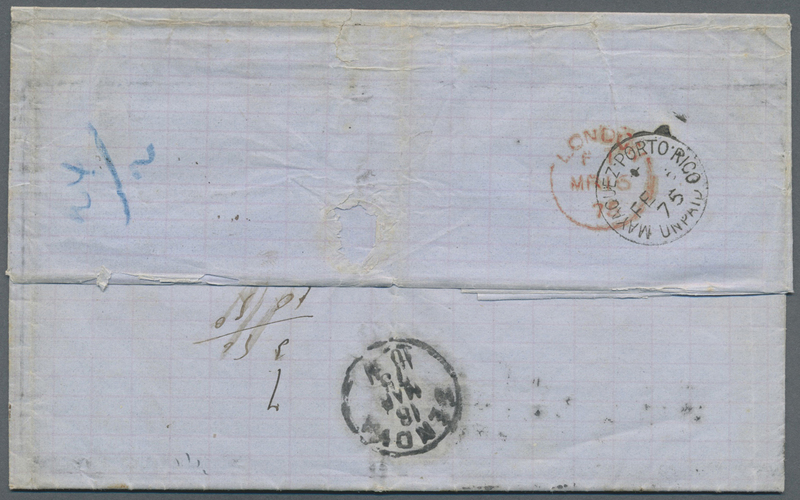 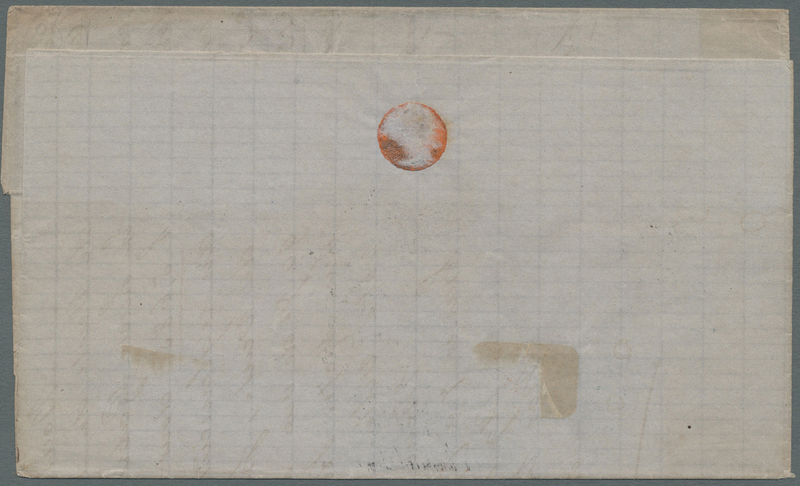 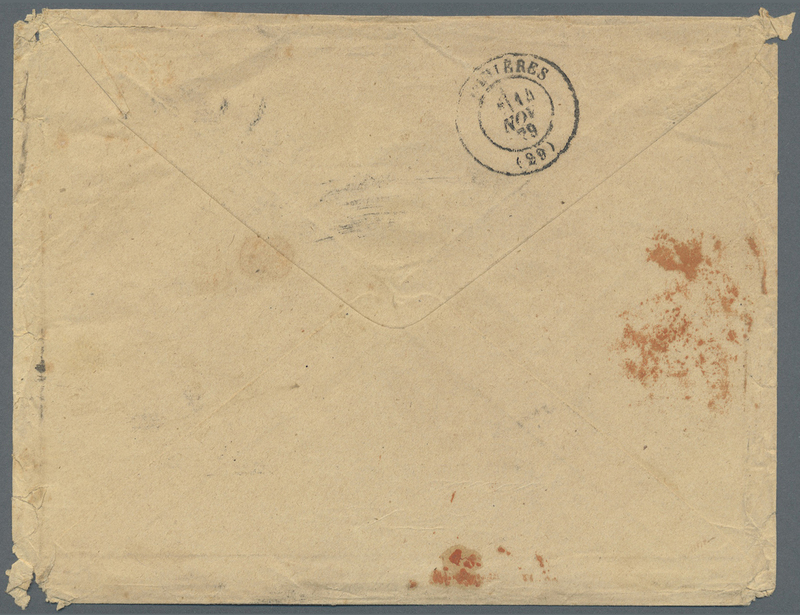 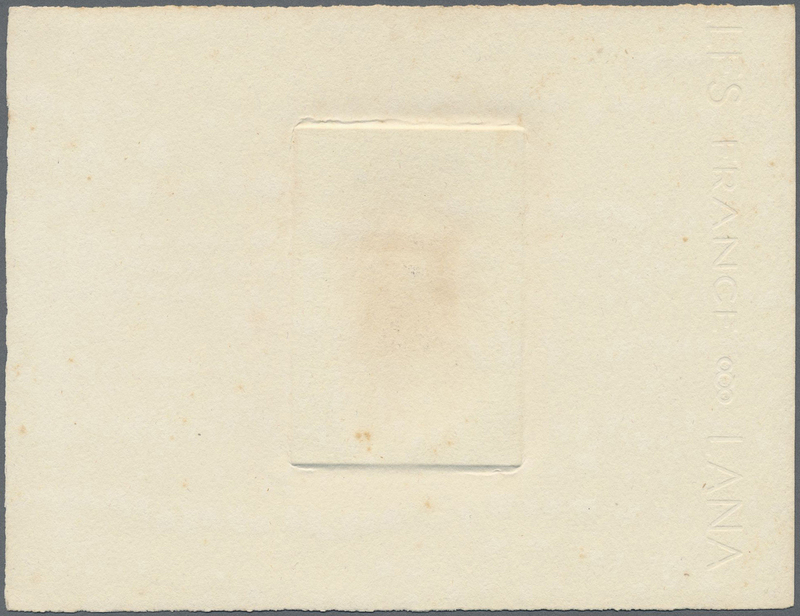 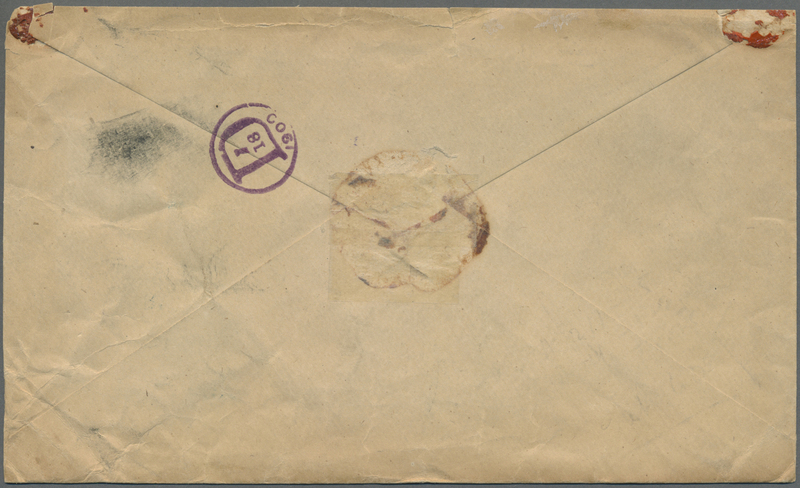 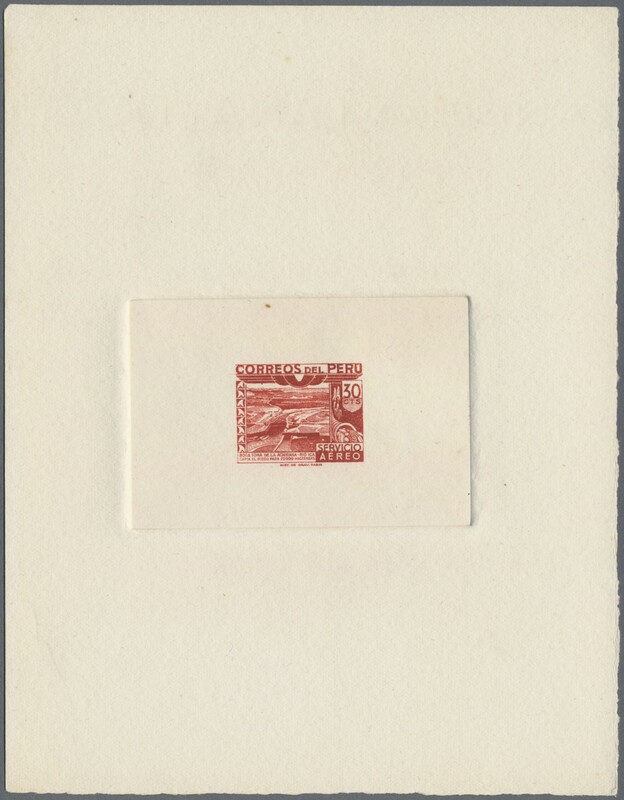 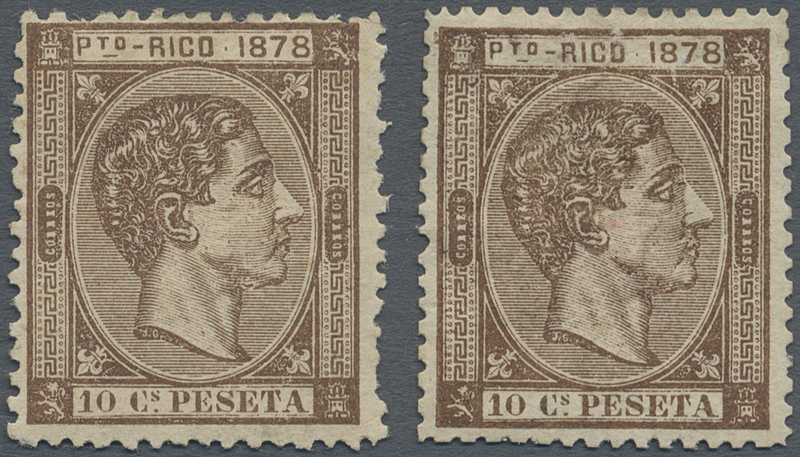 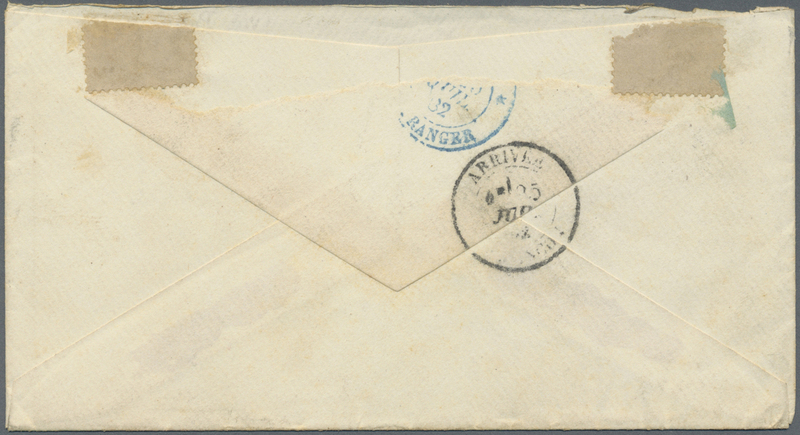 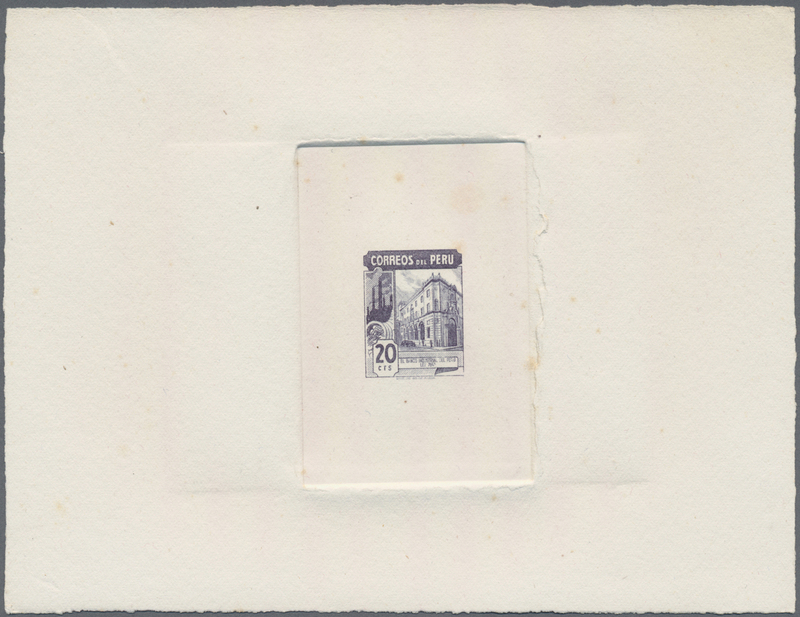 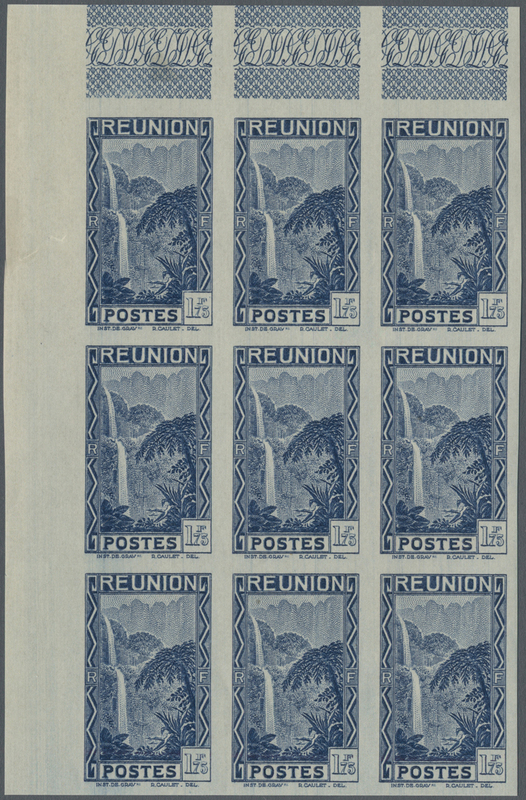 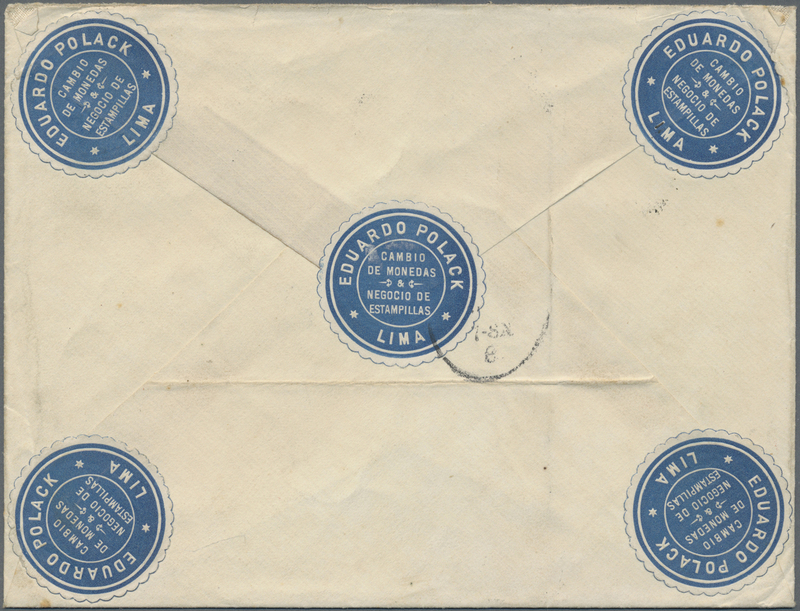 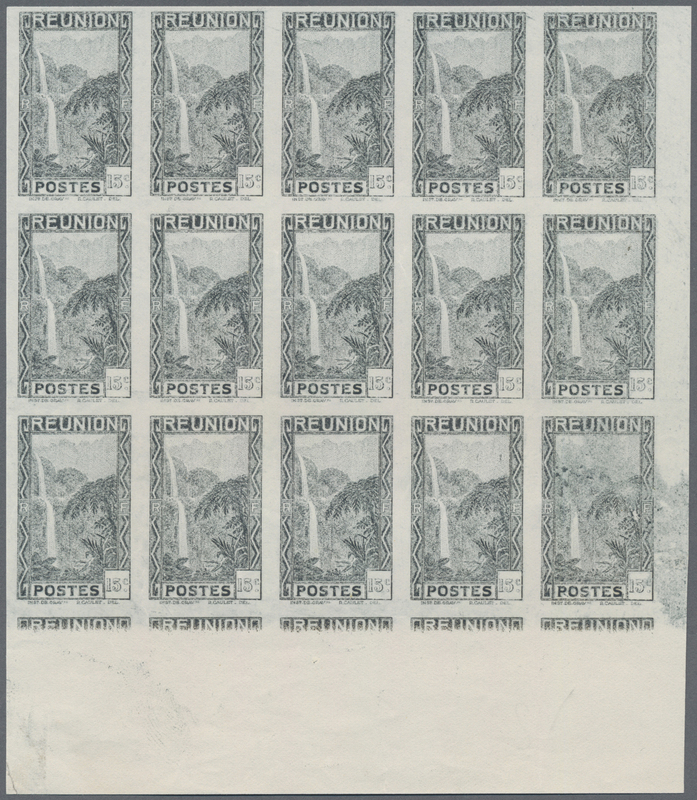 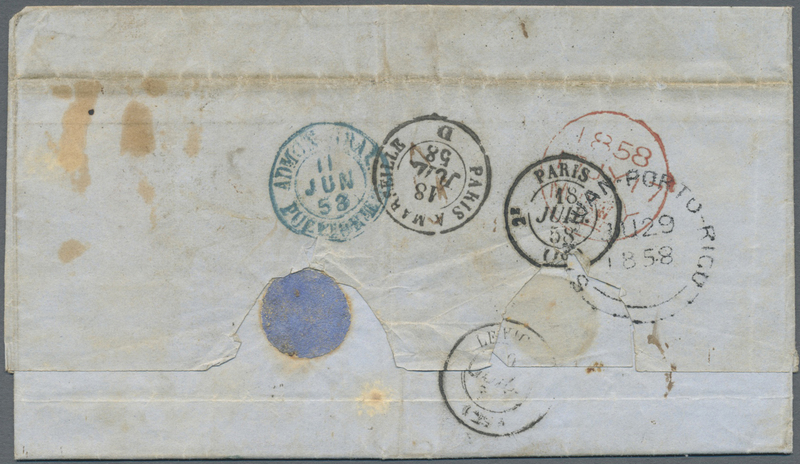 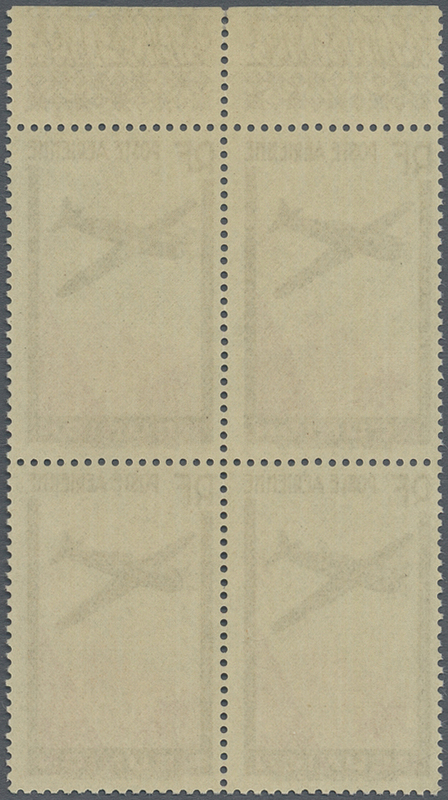 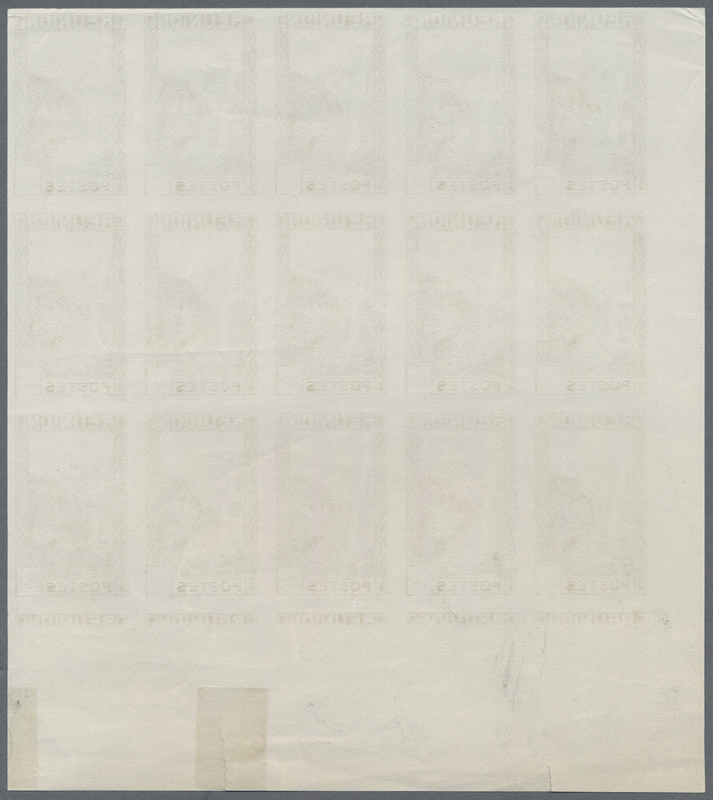 The stamps shown light creases from sticking to the envelope. 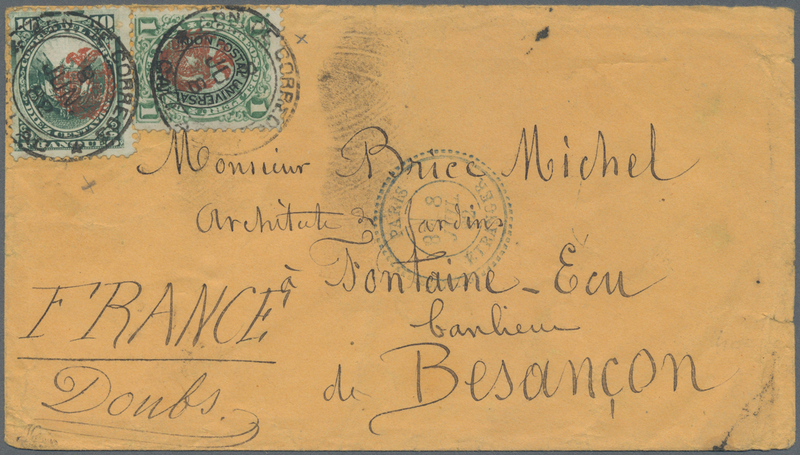 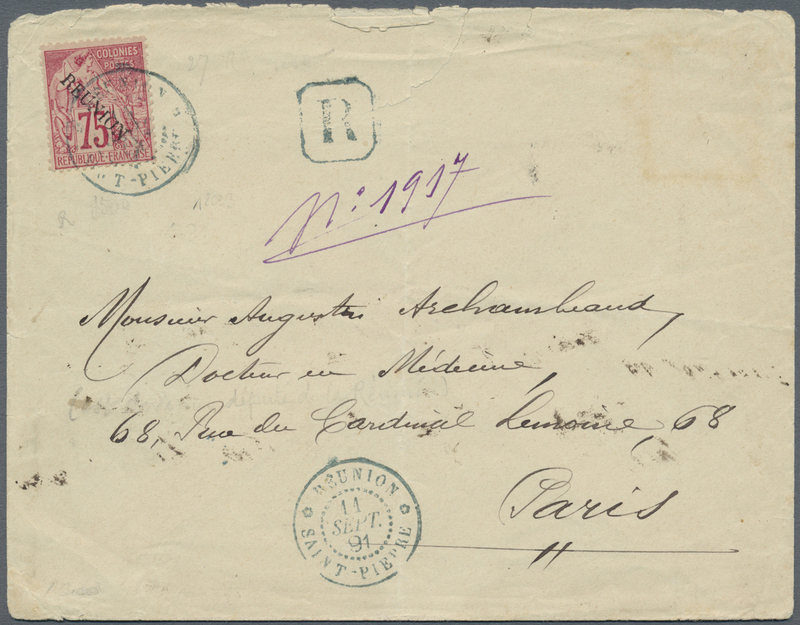 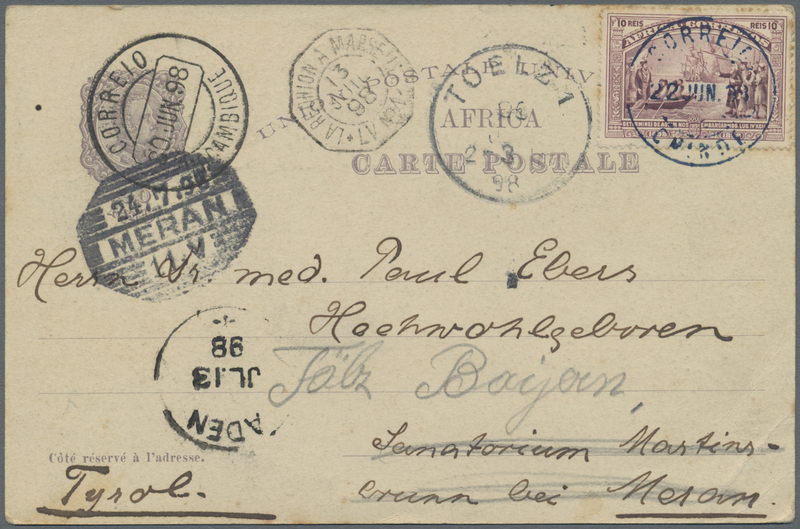 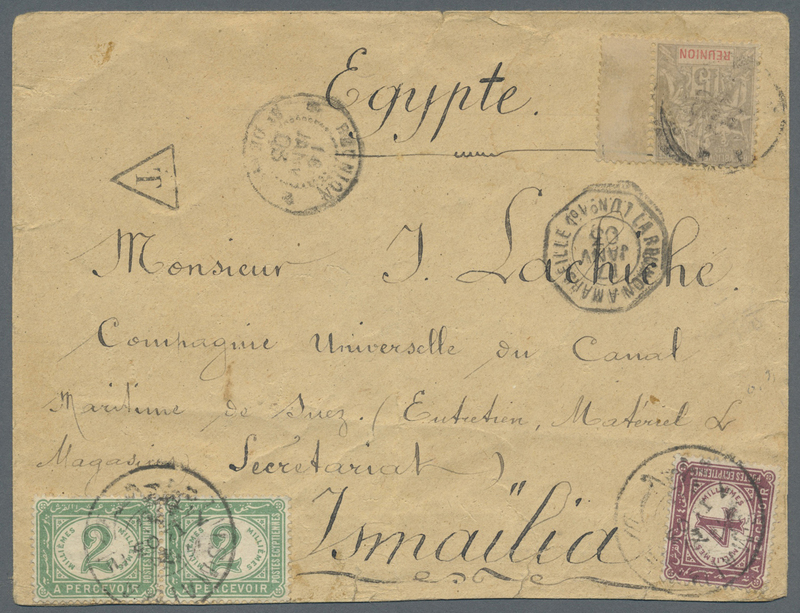 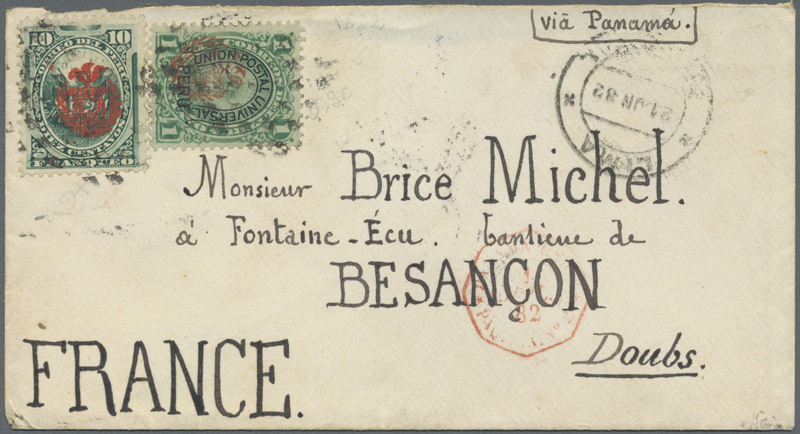 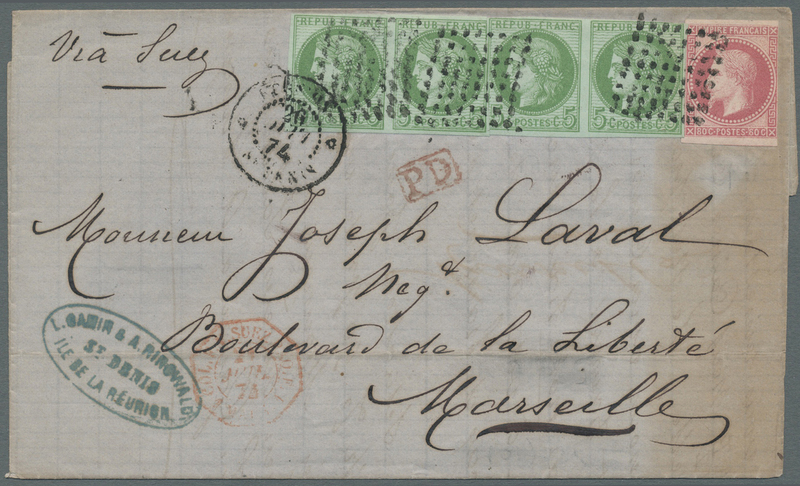 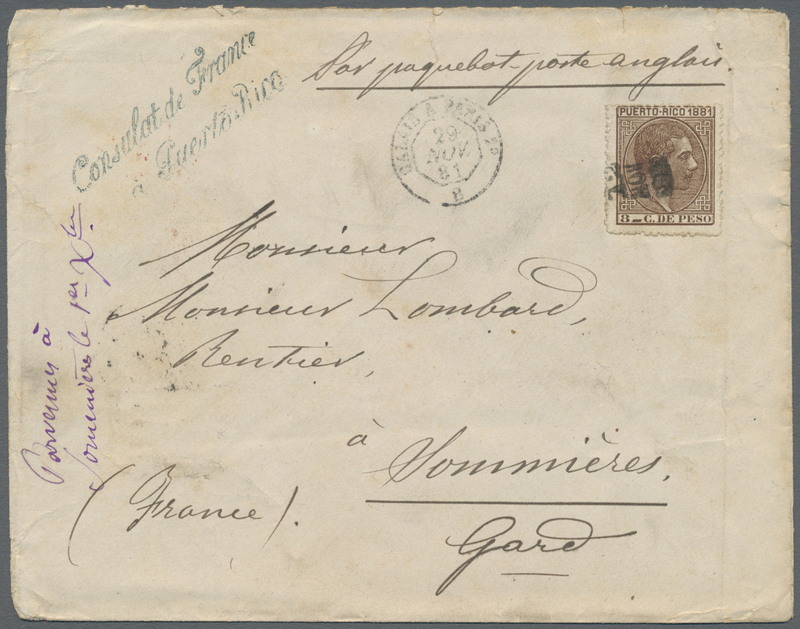 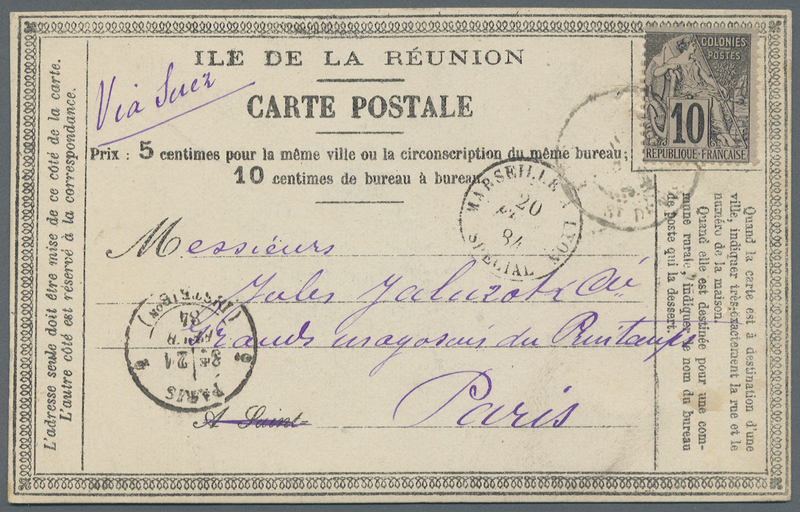 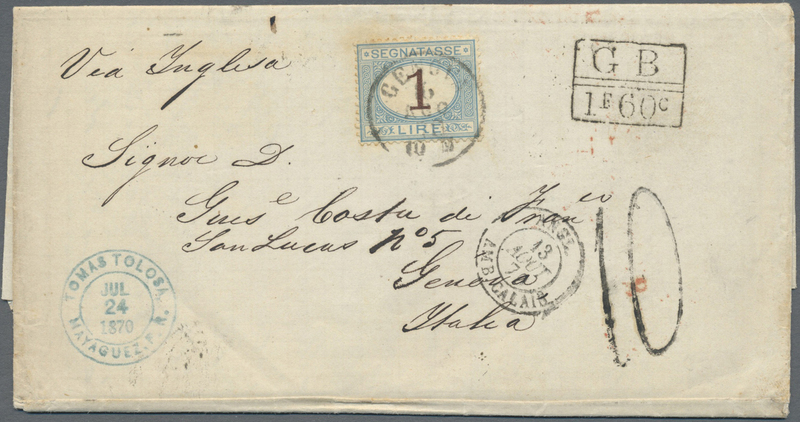 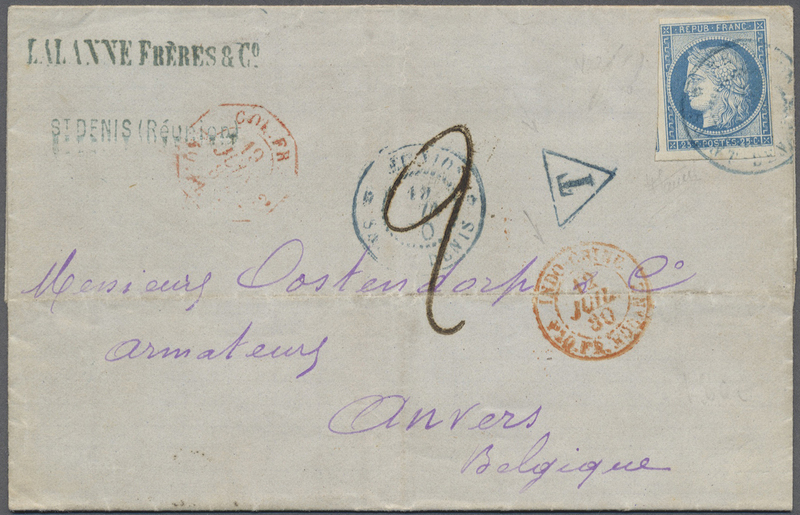 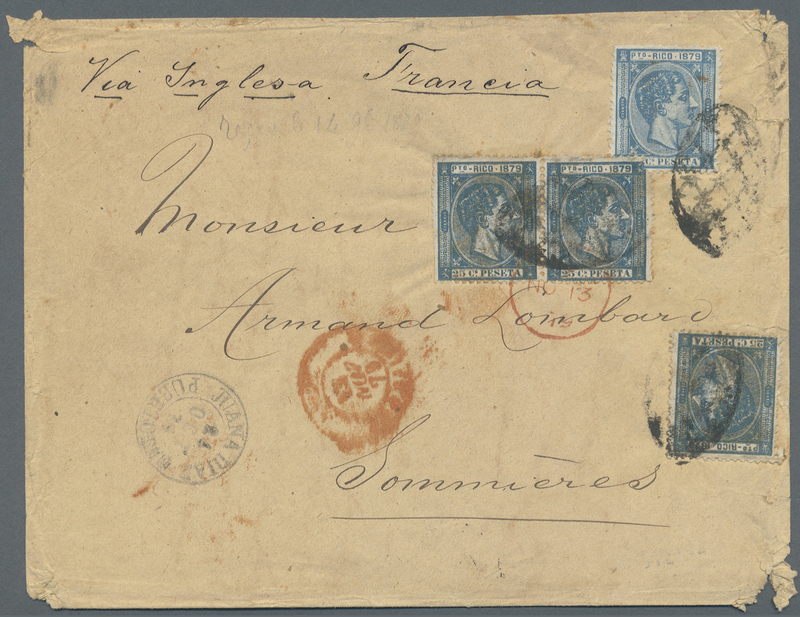 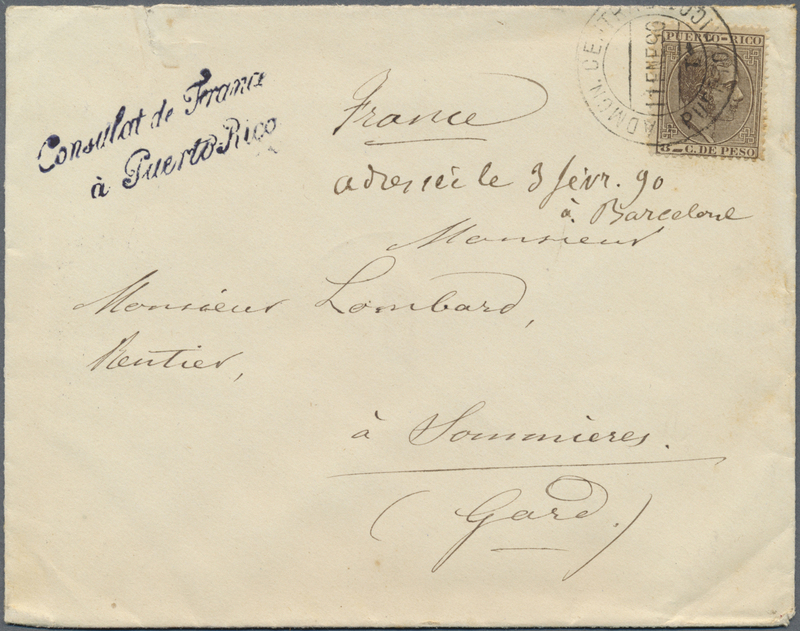 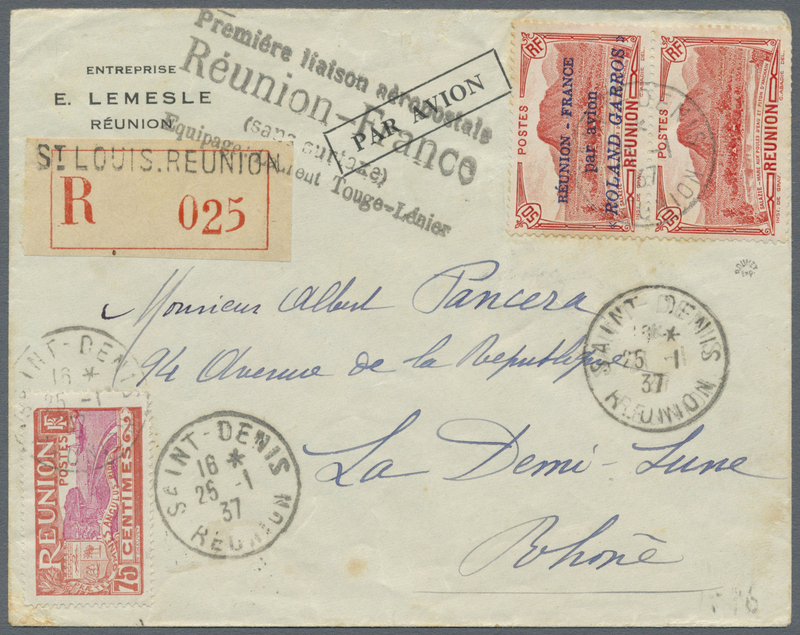 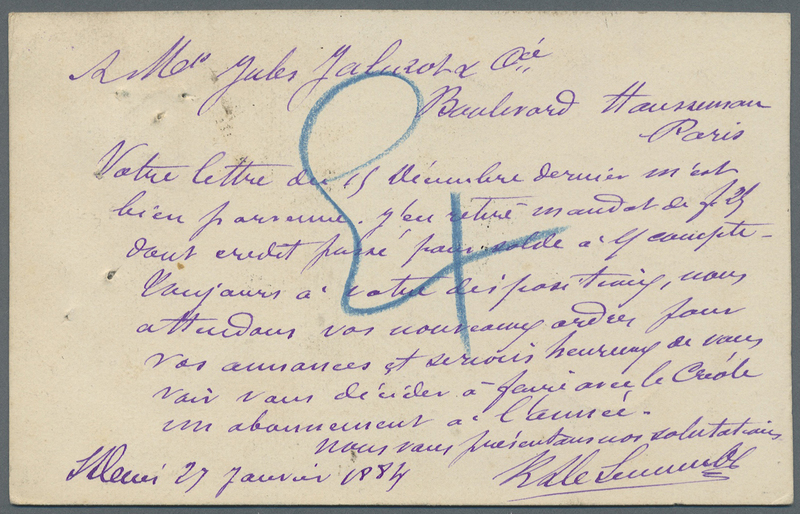 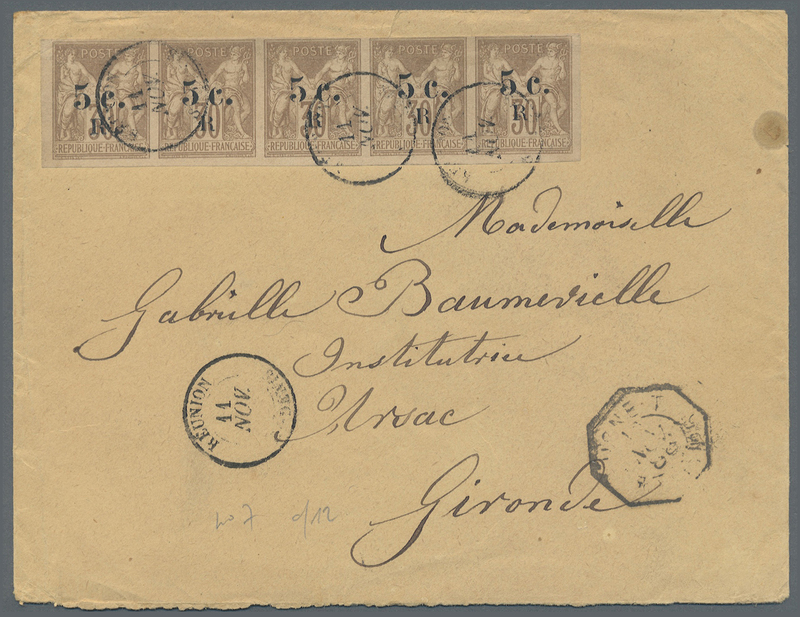 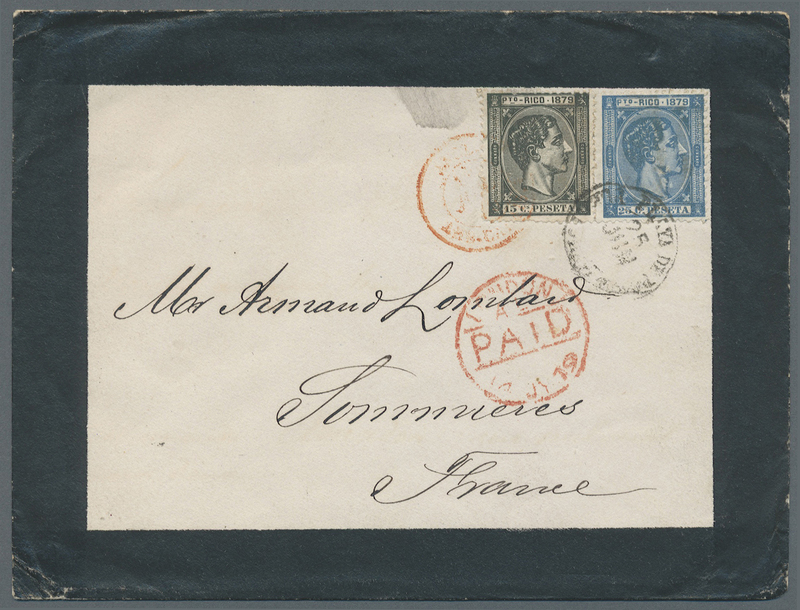 12611 Brief (cover) 27 1891, 75 c. red, 'Allegorie" overprinted "REUNION" on front of a registered cover, extraordinary rare despatch marking "REUNION POINTE des GALETS" at reverse, franked in SAINT-PIERRE, fine and clear strike "REUNION / SAINT PIERRE / 11 SEPT 91" sent to Paris, vertical bend, tears.